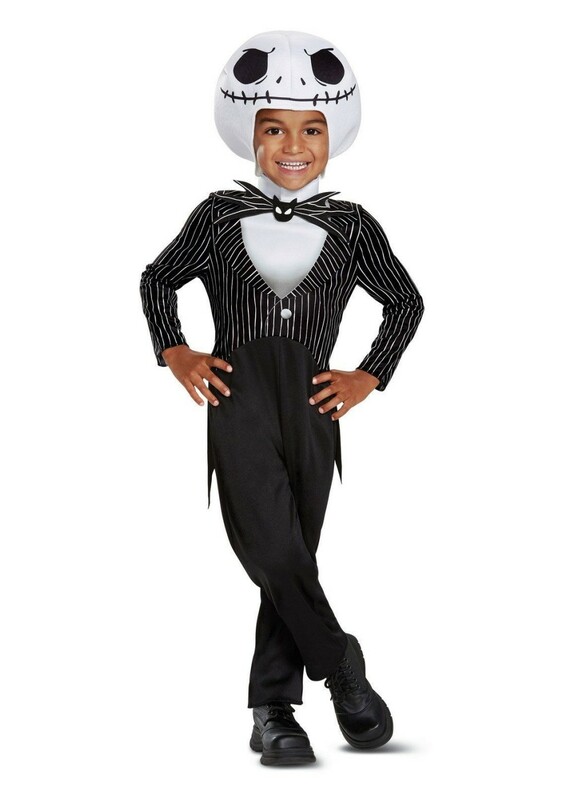 Costume includes Jumpsuit with detachable bow and headpiece. Available in sizes Infant (18-24 Months), Toddler (2T) and Toddler (3T-4T). Want to become the Father of Halloween- Now is your chance with this Jack Skellington costume that includes a jumpsuit, a detachable bow, and a headpiece! Review(s) for " Jack Skellington Classic Toddler Costume"